I used this trumpet professionally for 6 years in the Victoria Symphony and it is in wonderful shape. There is a rub mark here or there from normal use, but it has just been returned from an ultrasonic cleaning and polish and looks as good as new. Artistic guidance was provided during the design stage by John Hagstrom of the Chicago Symphony Orchestra. 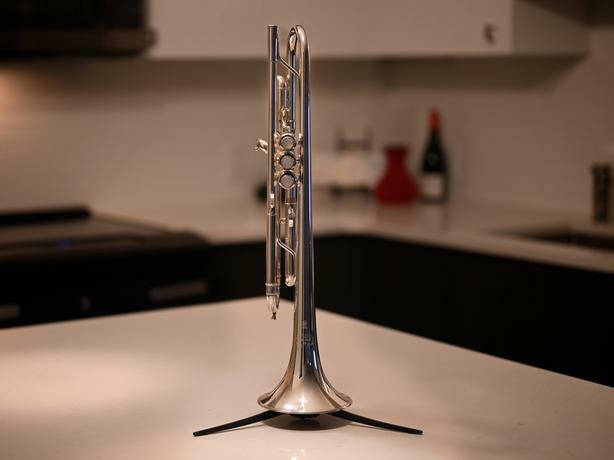 Yamaha focused on achieving the ideal blowing resistance and weight balance, and they re-thought every part of the new Chicago trumpet. Yamaha created an instrument that is not simply easy to sound, but also provides delicate response when playing pp and powerful presence when playing ff. Every component of the instrument contains the input of artists from around the world, allowing us to create a highly evolved Chicago trumpet. If you are interested send me a message through the contact form with any questions then we can sort out payment. $3500 takes it. That is $2,600 cheaper than the current Long and McQuade price. There is no better deal than this.